Serving the Denver Metro area for over 25 years. Snow Management Services (SMS) snow crews in Denver, Colorado are led by Snowfighters that have achieved ASCA Certification to attain the highest in snow industry standards. With cost-efficient snow pushers, we manage the storm – the storm never manages us. What others perceive as unpredictable, frustrating and costly, we see as manageable. “The SMS Way” is protecting the well-being of our clients and the tenants that work at their commercial, retail and industrial properties with true winter risk management services. Snow Management Services is dedicated to professionalism in the extreme. Our entire management and office staff has been certified by the Accredited Snow Contractors Association (ASCA); we also have a Snow & Ice Management Association (SIMA) Certified Snow Professional (CSP) on staff. As the company’s founder and chief executive, John Alexander has been instrumental in developing the company’s mission, culture and core values. His experience and involvement in industry trade associations in the snow and ice management business have allowed him to bring innovative ideas and best management approaches to Snow Management Services. Mr. Alexander’s current responsibilities include strategic planning, financial management, and personal development. 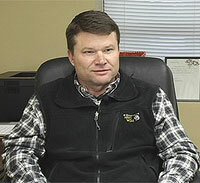 He has been with Snow Management Services (SMS) since its inception in 1995. Kim Jewell began her career in the snow industry with Groundmasters Landscape Services, Inc. in 1999 as a Client Representative. Over the next 8 years, Ms. Jewell worked her way up from Client Representative to Director of Operations. She has been General Manager since 2007 and also oversees Snow Management Services, LLC as part of her overall managerial responsibilities. Ms. Jewell is a LEED Green Associate, a Certified Snow Professional (CSP) through the Snow & Ice Management Association (SIMA) and Certified through the Accredited Snow Contractors Association (ASCA-C). She is an active member of the Building Owners and Managers Association (BOMA), the International Facility Management Association (IFMA), the Institute of Real Estate Management (IREM) and Rocky Mountain Shopping Centers Association (RMSCA). 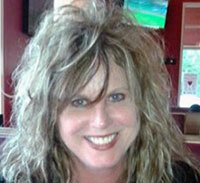 She is a 2013 graduate of the Snowfighters Institute (SFI) Forum for Sales educational series. 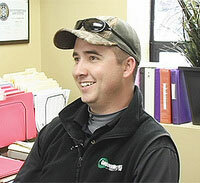 Bennett Polley is the Snow Management Services (SMS) Operations Manager and has worked in the snow and ice management industry since 2006. He has attended many educational classes and seminars including External Operations at Snowfighters Institute (SFI). He continues to advance his knowledge in all areas including snow removal, ice control, risk management, and customer service. Mr. Polley is certified through the Accredited Snow Contractors Association (ASCA-C) and is currently working on obtaining the Certified Snow Professional (CSP) designation from the Snow & Ice Management Association (SIMA).